OK, awesome. You now have your niche, in other words, the direction for your brand & business. That is great and don't worry about this not being "perfectly clear" at this point, as you move forward the pieces of the puzzle are going to come together. Starting with a big piece today, your website. We are going to be taking our niche idea and turning it into a tangible business starting with your website. Building a Website Ain't Scary, It's FUN! Building a website sounds like a "scary" process, but fortunately you have access to the most advanced, yet simplistic website platform in the world here at Wealthy Affiliate. We pride ourselves as a technology company here at Wealthy Affiliate and we are the industry leaders in the website development space. I am not going to toot our horn any longer, I would rather you experience the website builder and platform for itself. The first step today is going to be building your website, which will literally take you less than 30 seconds. 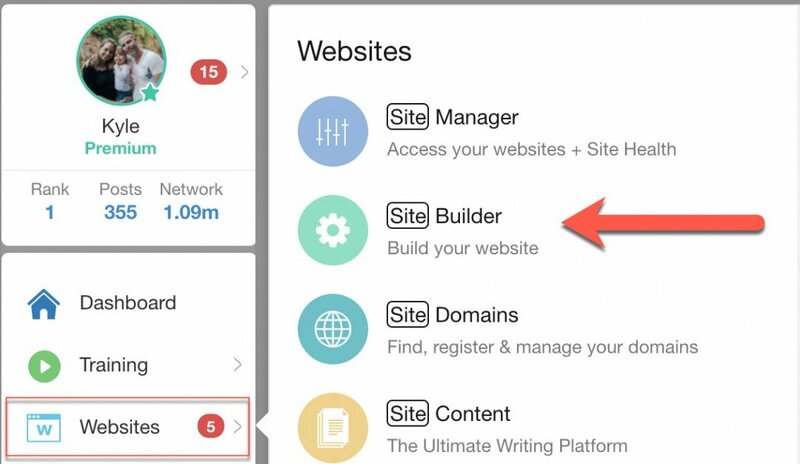 Click the SiteBuilder link within the menu, and you are going to be ready to rock here (and complete the next task). Below I have included a video walking you through the Website Platform (also knwn as SiteRubix) here at WA and showing you how quickly and efficiently you can build a website here at Wealthy Affiliate. Your website is your foundation of your business. It is where all of your traffic is ultimately going to come to, where you are going to build brand and trust within the industry, and where you can promote products/services and generate $$$! 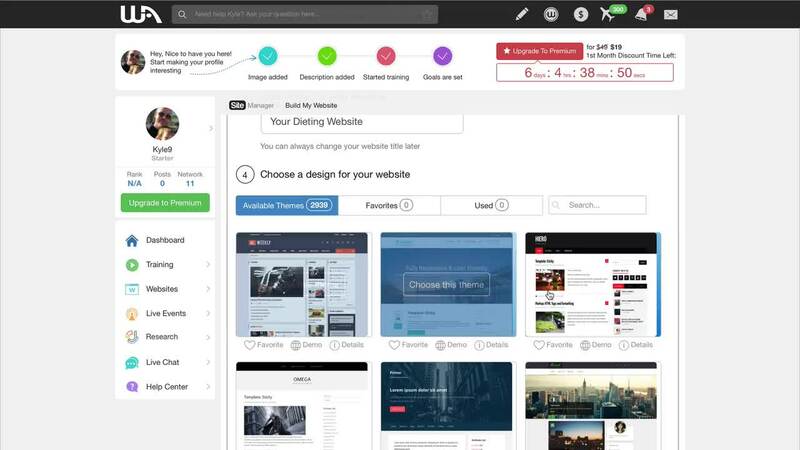 The SiteBuilder platform here at WA is the most simplistic, yet advanced in the industry. It is going to take less than 30 seconds to get a fully operational, profit ready Wordpress website up and running online. There are 4 steps in the website build process, that I am going to walk you through here. To access the SiteBuilder and EVERYTHING related to your website, you will simply click the light blue "SiteRubix" button in the main menu. There are really TWO options here, on a FREE website or on your OWN domain. Ideally, you will have your own domain, but that can come with time. You can "register" your very own domains right within Wealthy Affiliate using our state of the art SiteDomains platform, which will allow you to instantly set-up your own domain for your own use. If you are just starting out as a Starter member, you will be building a website on the .siterubix.com domain, which is a completely free website. You can build and host up to 2 FREE websites as a Starter. As a Premium member, you can build and host up to 25 free websites and the ability to create 25 sites on your own domains (total 50 websites). That is more than adequate to drive many multi-million dollar businesses over time. For the sake of this training, we are going to be choosing "On a free domain". Do know that within the Premium membership, you can easily MOVE a free .siterubix.com button to a registered domain (one you may own) using the "Premium Only" MOVE feature. So by all means start off with a free website and then down the road you can move it to your own domain. Remember last lesson when I chose my "niche". In this step, I am going to be choosing a name for my website and placing it in the "domain name" field. This is because this will be my website URL and my brand moving forward. As you can see below, I have added my brand "how to lose belly fat today" into the domain field. When you type in your domain, it will let you know if it is available or not. In my case it was, but if your first choice is not available simply do another search until you find a domain name that works for you. You cannot put spaces in your domain name, hence why my domain is "howtolosebellyfattoday". It is as simple as that. Don't overthink this step, your title will be the same as your domain. The last step is choosing a "look" for your theme. As a Starter member you will have access to 12, hand picked quality designs. As a Premium Member though you will have access to over 2,464 designs (as shown below) or your website and there are always new designs being added to this daily. These are referred to as "Themes". Choose a design that you like. Click on the design you like, and then you will be able to build your site. SiteRubix, a Next Level Website and Hosting Platform. You are going to notice that there are many other website features allocated within the SiteRubix menu. I don't want to eat up too much of your time here, but it is important that you understand the incredible benefits of the SiteRubix platform. The powerful hosting you have access you here is unparalleled in the Managed Wordpress hosting industry. We truly specialize here in providing a secure, robust and FAST platform for you to run your website. We know that your website IS your business, and it is important that you have the most advanced technology to keep your business operating at 100% at all times of the day. The following are just some of the powerful features included within the SiteRubix platform here at WA. To make your sites secure and fast, we have some SiteRubix EXCLUSIVE technologies to make sure your websites are operating at lightening speeds, but also in a very secure way that protects you from hackers, spammers, and all forms of erroneous attacks. There you have it, the low down of the SiteRubix platform and you have your website officially up and running online. Exciting stuff! As we move forward within the training we are going to be building out your website content, and working to get indexed and ranked in Google, Bing & Yahoo (and do so for free). ==> Upgrade Now & Unlock ALL the Premium Website & Hosting Features! 1. 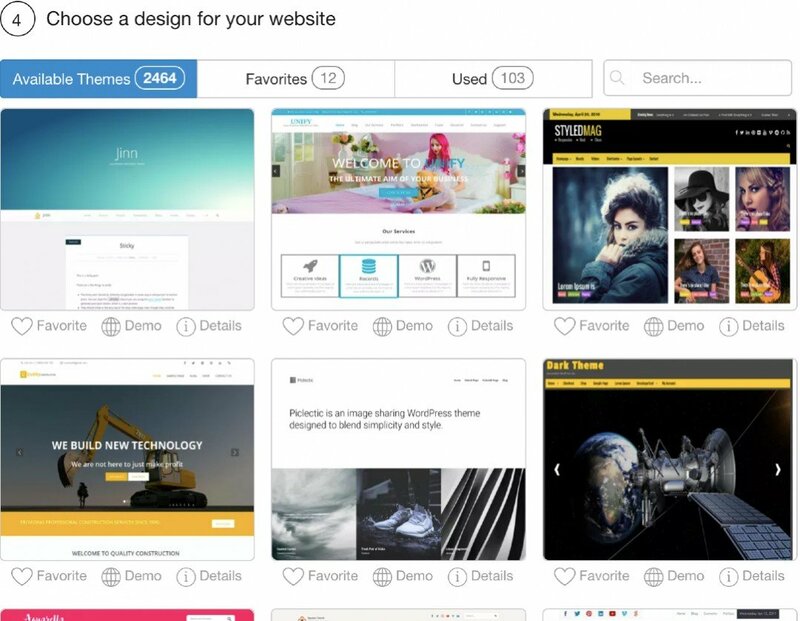 Watch the "Building Your Website in Under 30 Seconds Video"